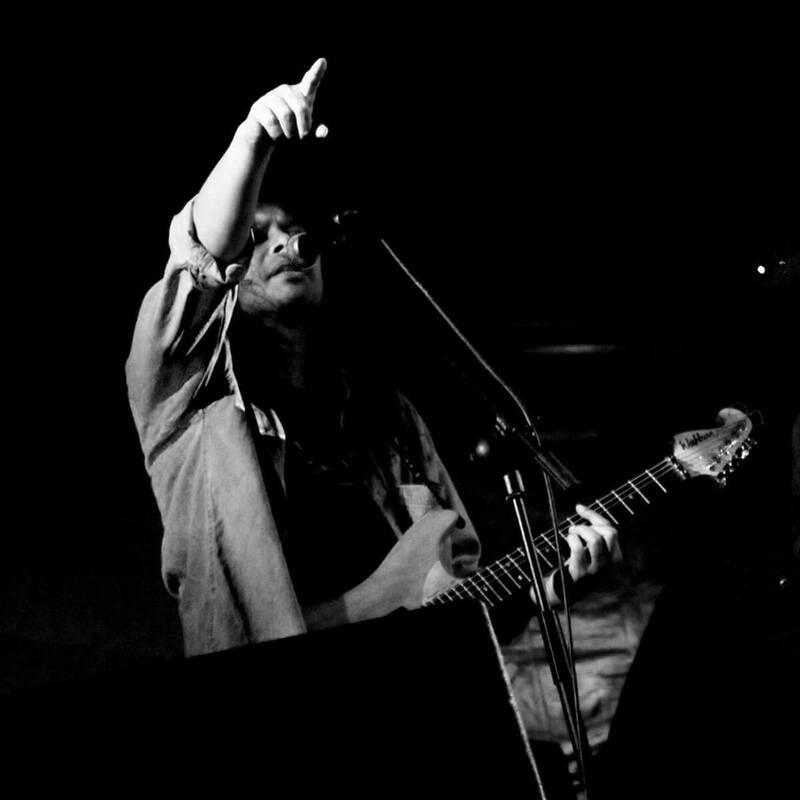 If music is your passion and you feel the desire to create a unique piece of music or a personal mix, you’ve come to the right place. Looking for information on this, you have discovered that all these things can be done using specialized software solutions. But you don’t know which tools to choose. We want to help you out and in this guide, we’ll list the best autotune software to use on Windows 10. What are the best autotune tools for PC? 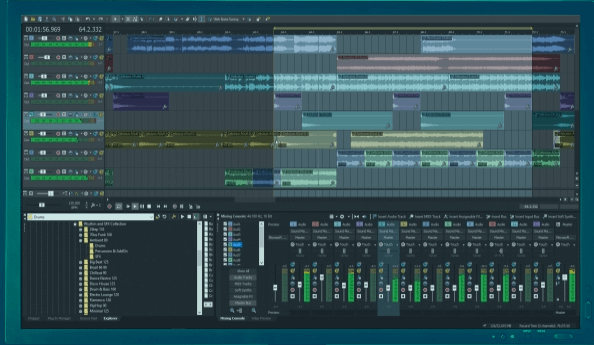 FL Studio is a semi-professional DAW (Digital Audio Workstation) software available for both Windows and MacOS. It allows you to create songs from scratch, thanks to a multitude of audio samples and integrated instruments. You can also making real mixes starting from already existing pieces. 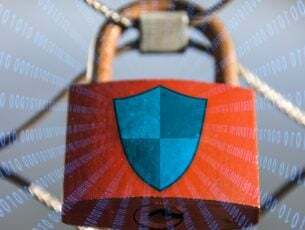 It is a paid program but, in the versions dedicated to the computer, you can still take advantage of a free trial version lasting 30 days, which allows you to fully test the features. After more than 20 years of innovation and development, Image-Line has included all the features you need to compose, arrange, record, edit, mix and burn tracks on a professional level. FL Studio 20 can be downloaded from the Image-Line software house. To download the digital version, connect to the website dedicated to download FL Studio 20. In a few minutes, you will have the software available on our computer ready to be used. Remember that the timing of downloads changes according to the speed of the ADSL connection that you use. Not to forget the past Image-Line has well thought to make available a box version, or “physical” in a box. This version has slightly higher costs and you cannot download it from the Image-Line website. In fact, only authorized dealers such as midi music sell it. The features introduced in version 20 are quite numerous. They are detailed in the FL Studio guide. In this review, we decided to summarize what we consider the most important one so that you may know ​​what has changed. FL Studio 20 is also fully compatible with Mac – Osx operating systems (previously the software was installable on Mac but was not fully compatible). Moreover, the plugin support was also extended in the format AUcomponents (the one used for VST and Logic Pro X plugins). The bounce allows you to consolidate in midi regions without the need to export and re-import them into the project. This feature also allows you to convert separate regions into a single audio track. In the Arrangement section (where the piece is constructed with sections, automations, etc.) the various patterns created in the pattern window (the classic grid to be clear) are clearly visible. This can allow you to build and manage the tracks much more fast and intuitive compared to before. If in some software / DAW the recording is one of the strengths. We can’t say the same of FL Studio that, having noticed some gaps, version after version tries to update itself. In version 20 the live waveform has been introduced, or better, the graphical function thanks to which, while recording, we can see the waveform. Image-Line knows well what awaits us in the future. To move forward it has improved the compatibility of software with touch supports and has launched a new version for smartphone “FL Studio Mobile”. 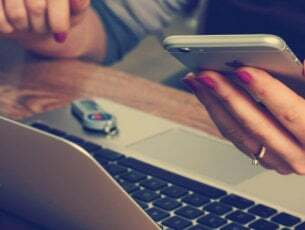 The latter helps you to create projects on the phone and subsequently complete them on your computer. ACID Pro is a veteran when it comes to music production. The first version of this software was released 20 years ago. The new version offers a new and elegant user interface and a powerful 64-bit engine. In addition, support for 24-bit, 192 kHz multitrack recording is available. With support for 64-bit architecture, you can take full advantage of your PC when building projects. Speaking of projects, the application has 16 tools available and 13 available effects to choose from. Obviously, ACID Pro 365 comes with 9GB of ACID loops that you can use to create all kinds of music. You can easily change the pitch, length and other settings of each cycle for perfect results. In addition to loops, various plug-ins are available to help you create professional music projects. The application also features Beatmapper and Chopper tools available that let you remix your music with ease. 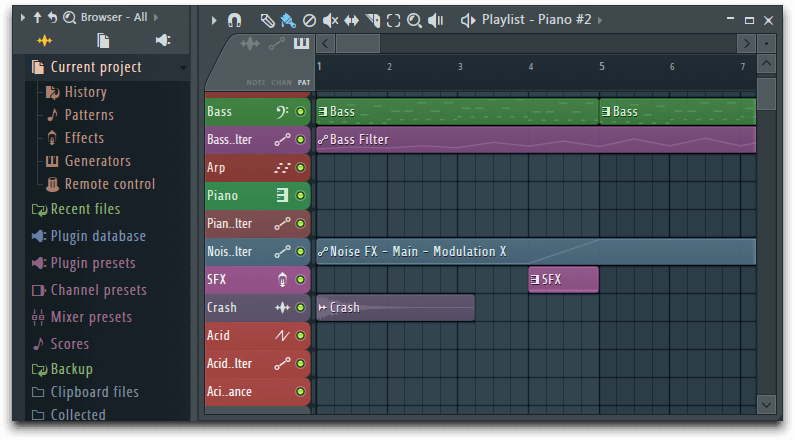 The application supports on-line editing that allows you to easily change MIDI data using the piano roll and drum grid. ACID Pro 365 also has Groove Mapping and Groove Cloning. Those let you change the feel of your loops or MIDI files with just one click. Of course, you can also create your own custom grooves from scratch and apply them to loops, files or tracks. It is also worth remembering that this tool has ReWire support. So, it can work with other ReWire applications such as Sonar, Reason, Cubase, Live or Pro Tools. Finally, the application has a CD burning function. However, it is also possible to save projects in various audio formats including MP3, WMA, WMV, AAC, FLAC and more. Overall, ACID Pro 365 is a great music production software, and with 16 different tools available and 9 GB of ACID loops. You’ll be able to free your creativity to the fullest. As for prices, ACID Pro 365 comes with an annual or quarterly subscription. Those options make it perfect for both long-term and shorter projects. Ableton Live is a powerful music creation software that helps you put your ideas into practice. This tool has everything you need to create hypnotizing traces. Live offers advanced MIDI recording capabilities, allowing you to work with hardware synthesizers, software, samplers and drum machines. The audio recording function allows you to capture all the sounds of the real world. Live also includes a musical sketchpad that you can use to combine musical ideas without the rigidity of a timeline. Feel free to improvise and play with the sounds. When you are satisfied with the result, use Live’s Arrangement View to arrange the notes and create your own song. You can change every detail by moving blocks of music or time. Ableton Live offers a unique deformation function that allows you to change the tempo and time, in real time, without interrupting the music. If you no longer have ideas, you can use the instrument’s sound collection. There are over 3000 sounds you can choose from, including acoustic instruments, multi-sampled acoustic drum kit and more. Disk space required for basic installation: 3 GB of free disk space. Disk space required if all included sounds are installed: 6 GB of free disk space. Steinberg is synonym for quality. When you hear that a digital audio workstation is powered by Steinberg, you know it must be a high-quality instrument. The company proudly states that its Cubase music production software is the best digital audio workstation ever. The instrument offers crystal-clear sound quality and many advanced features that will satisfy even the most demanding musicians. Cubase is a complete tool that covers all phases of the creative process from composition, recording, editing and mixing. The software has no rigid limits, allows you to put creativity first and follow your workflow. The Cubase software is available in three different versions, perfectly suited to your experience and your needs. Whether you are a beginner or a music veteran, whether your budget is low or high, you will find a version satisfying all your needs. Cubase Elements literally turns your computer into a fully equipped music production system. You can record, edit and mix audio and MIDI tracks and bring out your creative genius. Cubase Artist offers additional editing and sequencing tools that musicians often use. Cubase Pro is the perfect tool for veterans of music, producers and expert musicians. This version provides exceptional sound quality and a bevy of extremely advanced audio and MIDI tools. Before pressing the download button, make sure your PC meets the requirements to run this tool properly. 64-Bit Windows 7, 8, 8.1, 10. 64-bit Intel or AMD multi-core processor (Intel i5 or faster recommended). 4 GB of RAM (8 GB or more recommended). 18 GB of free HD space. Graphics card with DirectX 10 and WDDM 1.1 support. Avid Pro Tools 12 is a powerful music production tool that will help your free creative genius inside. This tool offers a wide variety of options that allow you to compose, record, edit, mix and share tracks. Avid Pro Tools 12 is available in three versions, each suited to different needs. Pro Tools First is ideal for singers, songwriters and musicians who do not know audio recording or Pro Tools. Pro Tools Pro is suitable for professionals who are looking for advanced tools to create music. Pro Tools HD is ideal for audio and production professionals who need maximum track count, performance and surround sound. 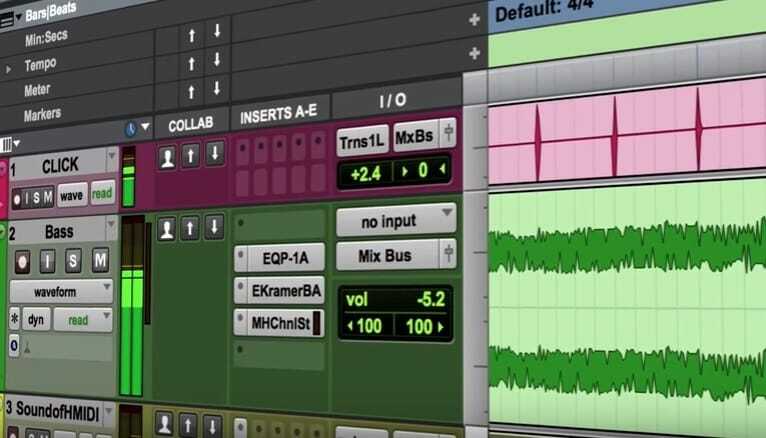 Avid Pro Tools 12 offers several unique features that set it apart from the competition. You can work with up to 10 collaborators in the cloud on a single project, including users of Pro Tools First. Project Revisions is a feature that keeps all version history and data organized for you. This feature allows you to explore new versions of a soundtrack, take notes and quickly return to any previous state from anywhere. Track Freeze is a useful feature that allows you to quickly lock or unlock plug-ins on a track to free up processing power. Windows 7 64-bit, Windows 8 / 8.1 64-bit or Windows 10 64-bit. Intel Core i5 processor (minimum). 8 GB of RAM (16 GB or more recommended). 15 GB of disk space for installation. USB port for iLok authorization (iLok 2 or iLok 3 is required). USB port or FireWire port for audio device supported ASIO. If you are a beginner, you can use a free music production software solution. However, if your hobby for music creation has evolved and you want to take it to the next level, you should use high quality music production software. The final result is certainly worth every penny spent on the software. Keep that in mind when choosing between a free and premium software version.